COME JOIN OUR RAINBOW PIRATE CHOIR! HOW? To sign up, email your name to gwynethherbertnews@gmail.com and we’ll be in touch! 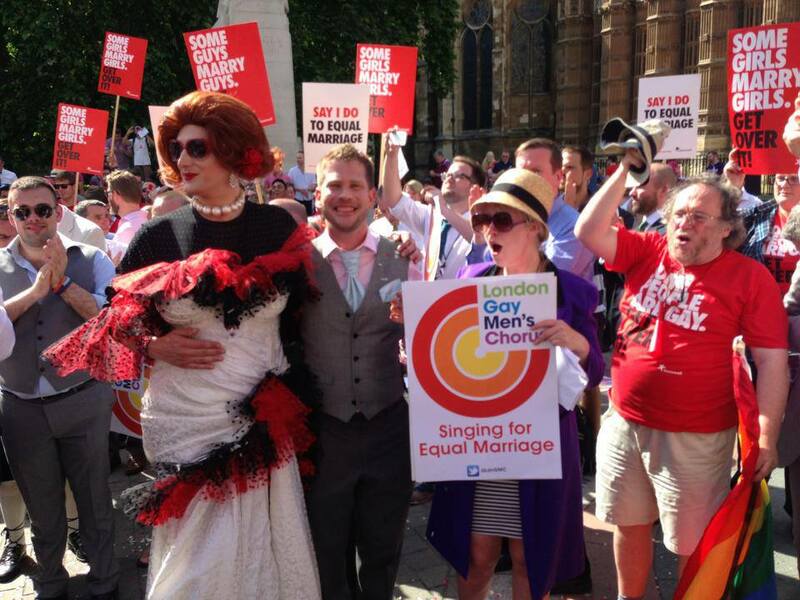 Gwyneth Herbert – pictured above with the London Gay Men’s Chorus in Westminster, 2013 – is a passionate believer in marriage equality. Read her open letter to the House of Lords here.